Spider Guard Bowie Knife | BUDK.com - Knives & Swords At The Lowest Prices! Can you handle this spider's bite? 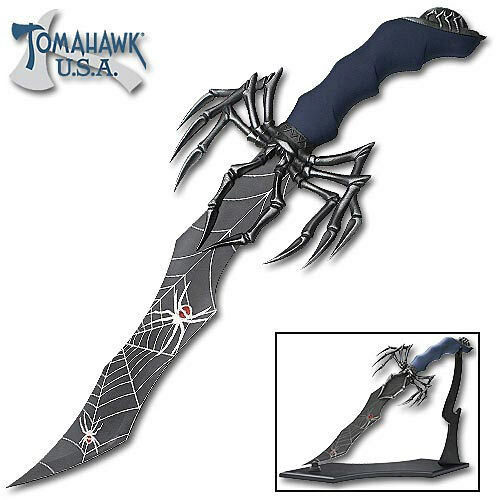 This chilling collectible knife gives arachnophobia a whole new meaning! This fantasy bowie-style knife measures 20 1/2" overall and features a 13" stainless steel blade with web etching. The cast metal, distinctive spider guard is sure to freeze people in their steps, while the contoured handle gives an excellent grip. Includes display stand. Tomahawk, XL1220.